As our thirst for fossil fuels continues to grow, auto manufacturers continue to develop and introduce new technologies that improve the efficiency of automobiles so that we the consumers get more bang for our buck. So which is best? What They Are – Starting with hybrids, the technology has actually been around for almost 100 years now but only recently it has gained popularity with manufacturers and consumers. In theory the operation is very simple, two engines work together (or separately) to provide power to the wheels. The most common hybrids are gasoline engines mated to electric motors. 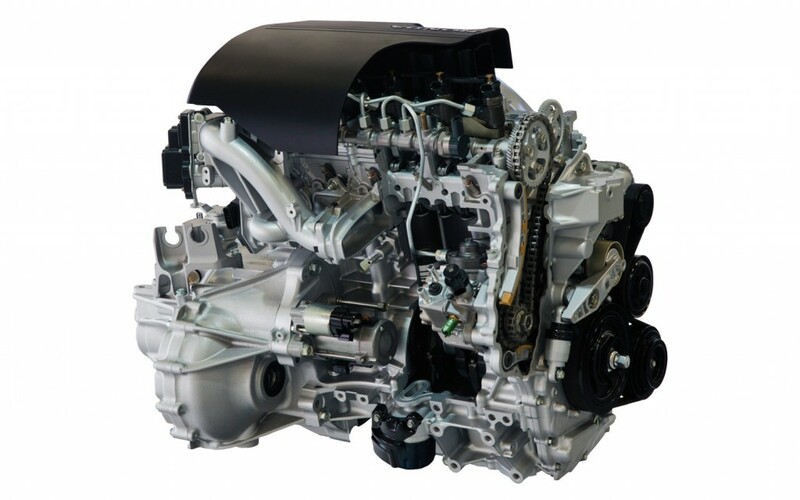 Diesels operate almost the same way as traditional gasoline engines with a few exceptions, the biggest being the different fuel that’s being used. Skyactiv is Mazda’s answer to hybrids, other manufacturers call it different things such as efficientDynamics for BMW. 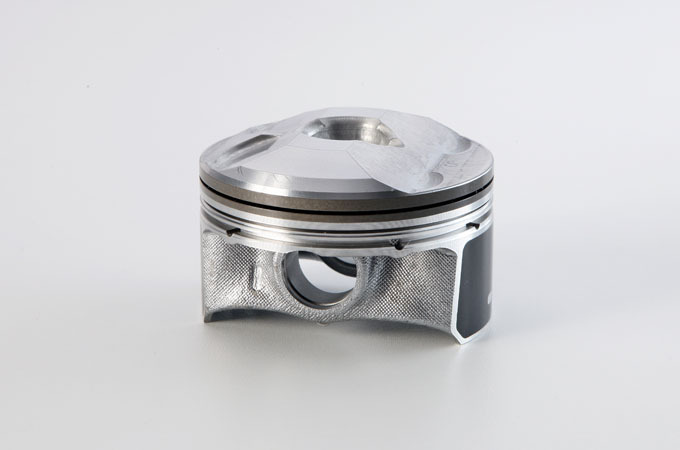 This technology is just small improvements of a traditional gasoline engine and other components that overall make a big improvement in efficiency and less fuel consumption. 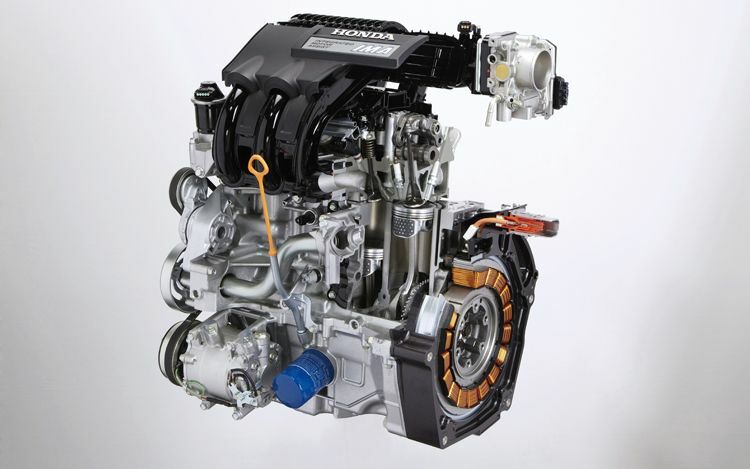 How They Work – Hybrids are by far the most complicated and expensive of the three. A traditional gasoline engine powers the wheels but there is also an electric motor that can either send power to the wheels at the same time as the gasoline engine or it can power the wheels by itself. In theory this technology solves all the problems of a modern vehicle because the engine doesn’t have to run as often thus less fuel is used and the electric motor can help the gasoline engine in providing more power thus improving performance. In reality however hybrids are not quite as good as they seem. Yes, if you’re in start/stop traffic in a busy city it will save you money by not using the gasoline engine but if there is no traffic and you drive on average over 60km/h to get to work, the vehicle won’t run on the electric motor but instead it will run solely on the gasoline engine. There’s also the extra added weight of the batteries to power the electric motor and hybrids tend to cost $5,000 or more compared to their gasoline only counterparts. 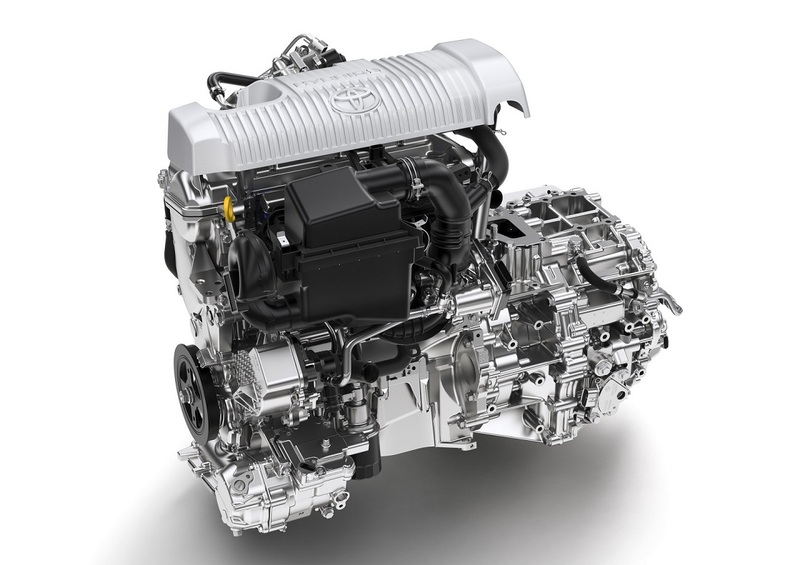 Diesels operate on the same principles as traditional gasoline engines. The difference is obviously the different gas that they use. There are other subtle differences between the two such as no throttle plates, direct injection, no spark plugs, and most (if not all) diesels utilize turbochargers. The efficiency of diesels comes from the way the engine burns the fuel. A turbocharger compresses as much air as it can into the combustion chamber where it then gets mixed with as much fuel as is needed thus reducing the amount of wasted fuel and improving fuel efficiency. Another key difference between diesel and gasoline engines is the fact that diesel engines produce much more torque than horsepower. For example, a 4 cylinder diesel engine can produce 150hp but 300lb-ft of torque at very low rpms (around 1500). As I’ve stated earlier, Skyactiv is Mazda’s response to hybrids and other manufactures may call this technology different things but Mazda is making a big fuss about this technology so I thought why not find out what it is. 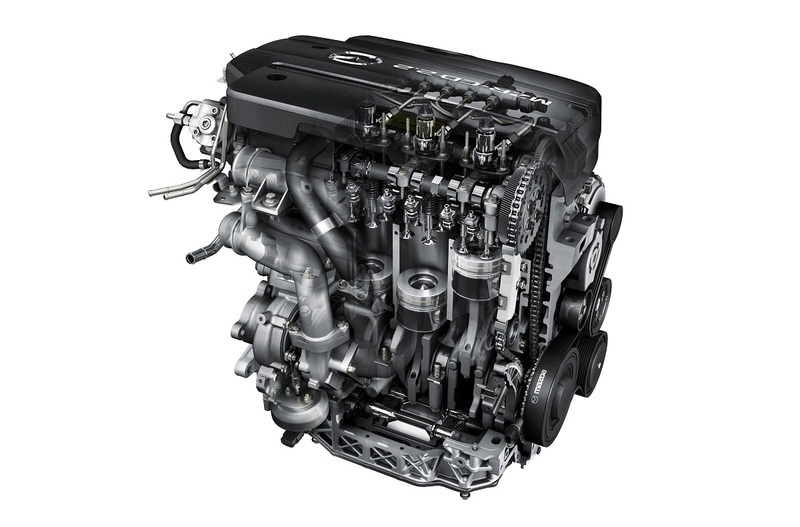 Skyactiv is a normal gasoline engine but with a lot of small changes that improve the overall efficiency of the motor. Some of those changes include: direct injection fuel, a 13:1 compression ratio (normal engines have between 9.5-10.5:1 compression ratio), redesigned piston heads for better fuel and air mixture, reduced engine weight, and better lubrication for reduced internal friction. Other minute changes include regenerative braking, a lighter yet stronger chassis, and new transmissions designed for fuel economy and performance. All of these changes add up to fuel efficiencies that are closer to that of a hybrid. Mazda has high hopes for this technology and if it proves to be successful, then more and more manufacturers will redesign their engines to feature these advancements in technology. Which is Best – Depending on where you live and how you use your vehicle, what may be best for you of these three technologies may not be for someone else. If you can afford the money, maybe a hybrid may be best but don’t think that you’re saving the planet with this technology. Making and recycling batteries is a very dirty business and the batteries have to be changed after 5-10 years of use at a cost ranging from $3,000 to $10,000. Again depending on where you live, diesel may be a good alternative. In some places around the world, diesel is cheaper than gasoline and diesel vehicles are approximately the same price as a gasoline powered vehicle. Skyactiv technology is still a relatively new technology and there are always problems with new innovations but if it proves to be successful, we will be seeing more and more of it. When people ask me what kind of car to buy, I always tell them get a diesel or wait until hydrogen fuel cell vehicles are more affordable and more refined. You didn’t foresee EVs rise ha? Nice article though! Haha, No I was more focusing on the new and current tech that came out at the time of writing that old article.